Last Friday's screening and discussion of "Citizen Jane: Battle for the City" that Madison Bikes co-organized was a great success. The UW Cinematheque was fully packed and some people even had to be turned away. Thanks everyone for coming! A pretty quiet week is coming up, with two family events on the weekend. 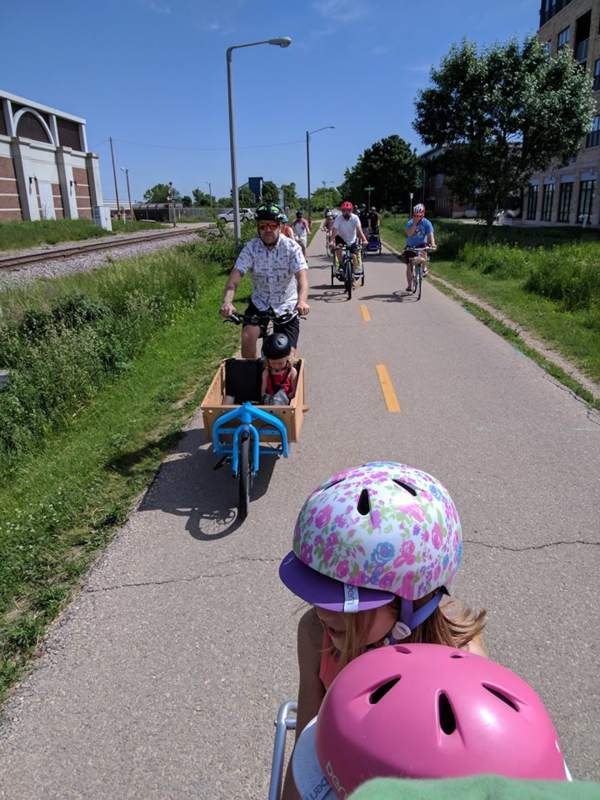 On Saturday, it’s the last Fitchburg family bike ride of the summer. Meet at the Leopold Community School at 9:30am. And on Sunday, join the Kidical Mass ride to the splash pad at Goodman Center. Starting point is The Cargo Bike Shop on Willy Street.